Lipoprotein-associated phospholipase A2 (Lp-PLA2) is a newly emerging biomarker with strong pro-inflammatory effects, and is an independent risk predictor of atherosclerotic plaque rupture and thrombosis. In addition, ischemic modified albumin (IMA) is another important marker for the evaluation of myocardial ischemia, and has been approved by the U.S. Food and Drug Administration. The objective of this study was to investigate serum Lp-PLA2 and IMA in the early diagnosis, progression and prognosis of acute coronary syndrome (ACS). Serum Lp-PLA2 and IMA were detected using an AU5800 automatic biochemical analyzer in samples from 180 patients with ACS [n = 60 with unstable angina pectoris (UA), n = 56 with non-ST segment elevation myocardial infarction (NSTEMI), and n = 64 with ST segment elevation myocardial infarction (STEMI)] and 60 healthy control subjects. The relationship between Lp-PLA2 and IMA with Gensini score and the number of coronary artery lesions was explored, and logistic regression was conducted to identify risk factors for major adverse cardiovascular events (MACE). 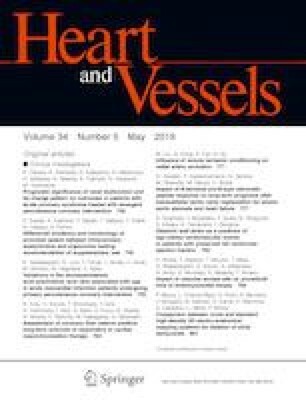 Serum Lp-PLA2 and IMA were significantly higher in all ACS subgroups compared to the control group (P < 0.05), were positively associated with the severity of ACS based on the Gensini score (P < 0.05), and were significantly higher in patients with double- and triple-vessel lesions compared to those with single-vessel lesions and healthy controls (P < 0.05). Logistic regression identified Lp-PLA2, IMA, and troponin I levels as independent risk factors for MACE. Lp-PLA2 and IMA were predictive of the degree of myocardial ischemia in patients with ACS, and may provide important clinical significance for the early diagnosis of ACS and the choice of treatment strategy. Fumeng Yang and Liping Ma are equal contributors. FY and QL conceived and designed the experiments. LZ, YW, and CZ performed the experiments. WZ, WL and LM analyzed the data. FY, LM, and QL wrote or revised the manuscript. All the authors approved the final submitted version of the manuscript. Research projects of Bengbu Medical College (BYKY17184, 18178), Young and Middle-aged Talents Growth Foundation of the Second People’s Hospital of Lianyungang (TQ201709), and Health Scientific Research Project in Lianyungang (201721, 201817). The authors declare that they have no conflict of interest with this work.